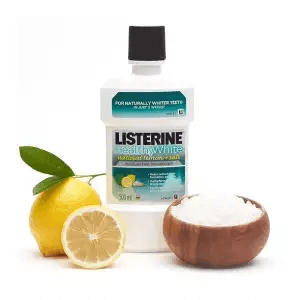 Complete your oral care with the best mouthwash you can buy from the Philippine market. Combining it with the right toothpaste can lead to a healthy mouth, gums, teeth, and your overall dental well-being. If you’re looking for the right mouthwash, then you’ve come to the right place as we’re going to give you a list of the best mouthwashes in a ranking format. We’re also going to show you a guide on how to pick the right mouthwash for your specific needs, so don’t forget to check that out. Take a look at the market and you’ll see a broad range of mouthwashes. Choosing the right one for your needs can be a daunting task if you don’t know what you really want in the product. Picking a random mouthwash off of a store shelf can deliver disastrous results if you’re not too careful. Therefore, we’re going to tell you the right factors to consider when you’re looking for the right mouthwash fit for your personal needs. Different mouthwashes call for varying results and effects. Let’s take a look at some of the ingredients placed in these products by their manufacturers to match your preferred outcomes. 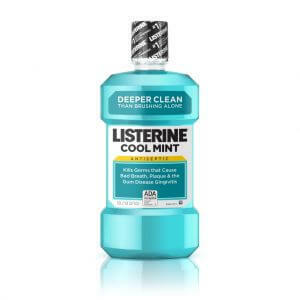 If you’re planning on using a mouthwash to get rid of bad breath, then choose one that offers sterilizing ingredients. These oral care products help prevent bacteria buildup in the mouth which would otherwise cause bad breath. 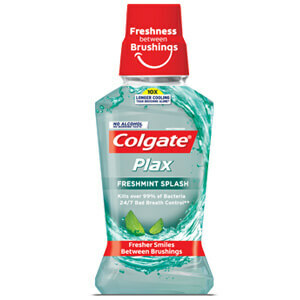 Cetylpyridinium chloride and Triclosan are both common ingredients that assist in this regard, and both compounds are deemed highly effective in bringing fresh breath. Aside from mouthwashes that help eliminate bad breath, there are also variants that greatly assist in removing decomposed dirt and debris from the mouth. There are cleansing ingredients like erythritol and pyrophosphoric anhydride that help in decomposing dental plaque. Combine the use of these mouthwashes with the right toothpaste and other dental care products to remove the remaining dirt and debris. These products are ideal for anyone who is concerned about any “leftovers” left behind from eating and drinking. There are also mouthwashes that have fluoride content that assists in preventing plaque and dirt buildup, so you might want to keep an eye out for those products. Gum issues like alveolar pyorrhea and gingivitis are troublesome, but patients can use mouthwashes with anti-inflammatory ingredients such as hexetidine for great gum care. Using these oral care products can also assist in preventing periodontal diseases. It’s quite common for many mouthwashes to bring a refreshing feeling with each use. However, the effects depend on the strength of the ingredients in the product. 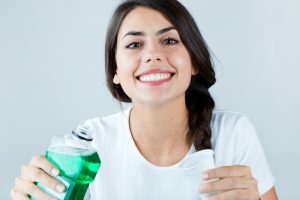 Let’s check out the factors to consider when looking for mouthwashes and their ingredients according to your desired usage. People who plan on using a mouthwash every day should choose a variant with less alcohol and menthol ingredients. High-strength mouthwashes tend to have very active stimulants that may become strongly acidic to the gums, teeth, and mouth. As a result, these products might cause deterioration and bacteria buildup that may lead to bad breath. Continued use might even lead to the deterioration of the teeth because of high acidic values. Mouthwashes with alcohol and menthol content tend to have strong stimulation effects to provide immediate effects. These products are a great choice if you need fresh and clean breath for meetings or dates. However, the strong stimulants may cause some discomfort and pain for some users. As such, it’s best to use these mouthwashes only on an occasional basis. The refreshing feeling and taste brought by a mouthwash depend on the presence or absence of alcohol. Let’s take a deeper look on mouthwashes with or without alcohol content. 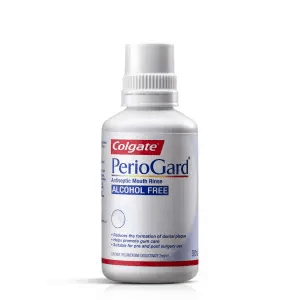 Mouthwashes with alcohol content make it easy to refresh the oral cavity. Many users even the taste of alcohol in these products to be quite good. However, keep in mind that alcohol in mouthwashes is just for additional flavor and to give off that refreshing feeling after use. The ingredient doesn’t have high sterilization effects which means it won’t clean the mouth as much as their non-alcohol-based variants. Children and people who want to use mouthwashes for everyday use should use these products without alcohol content. There is now an increasing number of mouthwashes on the market that has ingredients like glycerin to substitute for alcohol. However, users of mouthwashes without alcohol will find that the taste isn’t as strong as their alcohol-based counterparts. Now that you’ve read through our guide on how to choose the best mouthwash, it’s time to take a look at our list of recommended mouthwashes. We’ve already scoured the Philippine market for the best mouthwashes based on reviews, price, ingredients, and effectiveness. Many mouthwashes on the market prioritize on destroying bad bacteria in the mouth, but this product can also help prevent diseases like Ventilator-associated pneumonia. Its active ingredient is Chlorhexidine Topical, and it inhibits the growth of bacteria in the mouth. However, there are possible side effects to using this product because of its main ingredients such as itching and skin rash. It’s still a good choice for protecting your body against some diseases, but it’s best to consult your doctor first. If you’re having trouble getting rid of stubborn plaque, then it’s time to check this mouthwash out. It contains Cetylpyridinium chloride (CPC) which is a compound that reduces both calculus and plaque. The salty taste might be a little too strong for some users, but the active salt content does get rid of bad breath-causing bacteria in the mouth for that fresh breath. Use this if you like to eat without worry of getting your mouth, teeth, and gums dirty all the time. 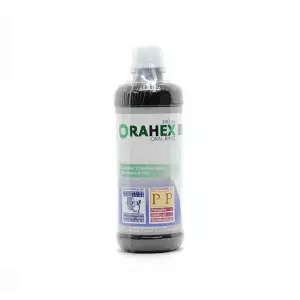 It’s safe to say nobody wants to experience canker sores or mouth ulcers, but in the case that you’re frequently suffering from this issue then this is the mouthwash for you. It contains glycerin that assists in minimizing mouth ulcers and bad bacteria. However, some reports indicate that the fresh breath doesn’t last long so it’s a good idea to use this right before an important date if you’re going for this benefits. On the plus side, the burning sensation is less potent than some similar mouthwashes on the market. This alcohol-free mouthwash can help protect against cavities and reduce inflammation at the same time. The fluoride content is in charge with the cavity department whereas its Benzoic acid ingredient reduces and removes inflammation. Keep in mind there are only a few ingredients in its formula to add to the flavor so the taste is quite bland. Nonetheless, it’s a great choice for people with sensitive gums and teeth. This mouthwash is unlike many if not most mouthwashes on the market because of its organic ingredients. 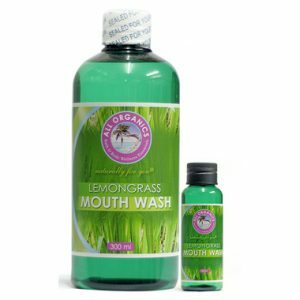 Its lemongrass content is a great way to prevent bacteria buildup while preventing your mouth against germs. It’s even safe enough to swallow. However, it mostly neutralizes bad breath as opposed to giving you fresh breath. Nonetheless, this oral care product is ideal for kids and people sensitive to strong ingredients. It might not matter if you’ve got fresh breath if you keep on coughing because it’s hard to breathe. If you have such a problem, then perhaps it’s best to change your mouthwash to this product. Its Thymol content can help clear air passageways when you’re gargling with this mouthwash. However, it has alcohol-based ingredients that might prove to be a bit too strong for some users. This is a mouthwash that’s the best use on occasion so it’s a great selection if you’re about to go on a date or important business meeting. Drinking tea promotes plenty of benefits and you can get some of those incentives from this mouthwash. This oral care product has tea extract that helps prevent cavities and fend off infections and viruses. Even though it doesn’t promote a minty breath, it does a good job in removing nasty bad breath. 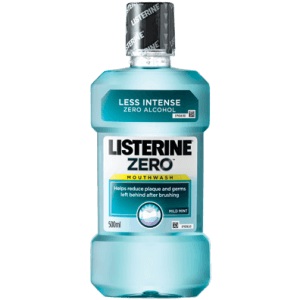 This alcohol-free mouthwash is a great choice for people who find mint and menthol-flavored variants to be too strong when used. This product is unlike many types of mouthwash on the market, because it prioritizes healing rather than giving you a minty fresh breath. 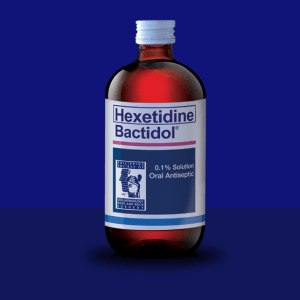 It’s an oral antiseptic with hexetidine as its main active ingredient. This compound helps prevent tooth decay and gingivitis, among many other dental and oral issues. Many wouldn’t find the taste appealing but it does get the job of healing your mouth done right. Use this if you’re constantly plagued with oral concerns that won’t go away with regular mouthwashes. Not a lot of mouthwashes on the market promote teeth whitening as its main benefit, but this product is unlike most of its kind. The teeth whitening effect is thanks to two of its main active ingredients which are lemon and salt. These ingredients won’t just clean your teeth, but it’ll also help in preventing further stains. 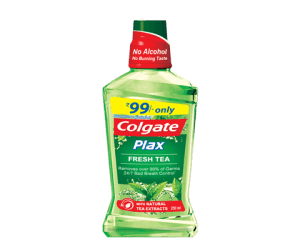 If you’re the type to consume foods and drinks that can stain your teeth, then this is the mouthwash you’ve been looking for all this time. 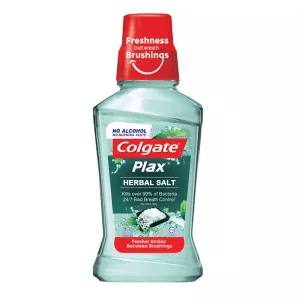 If you have sensitive gums that easily bleed, or if you tend to suffer from gum disease and gingivitis, then heavily consider using this mouthwash. Its chlorhexidine gluconate content helps you properly deal with these oral issues and it can also help reduce redness and swelling of the gums. It even comes with a fresh mint taste to give you that refreshing breath. Its formula is quite aggressive but works well in a way that it doesn’t do additional harm to the oral cavity. You can’t just use mouthwashes arbitrarily and hope to gain all the benefits. It’s important to rinse with your preferred mouthwash about 30 seconds after you brush your teeth. If you find it rinsing and gargling with mouthwash to be an uncomfortable experience, then you can do so with water. However, keep in mind water can effectively remove the ingredients and effects of toothpaste from your mouth making the oral care experience less effective than originally planned. If you use liquid toothpaste, then clean your mouth with the oral care product for about 30 seconds before and after brushing your teeth. Afterward, you should continue by brushing your teeth with another toothpaste but this time rinse your mouth with mouthwash. Don’t worry if you accidentally swallow some mouthwash because it won’t put harm to your body if it’s in small amounts. Choosing the best mouthwash from the market can become tiresome if you don’t know your preferences or where to look for the right product. Now that you’ve reached the end of the page, you should now have a better idea on what mouthwash to buy and use. If you still have some difficulties in choosing the right mouthwash, then don’t be shy to go back to this page.